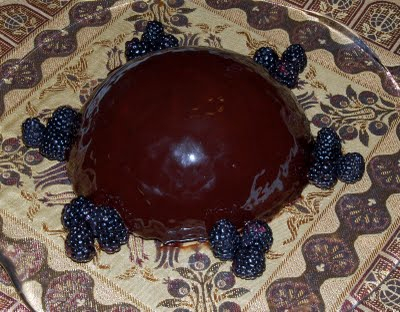 Congratulations to Marie Wolf and the Heavenly Bakers for baking all the cakes in Rose's Heavenly Cakes in just under two years (the first posting, Spice Cake with Peanutbutter Frosting, was May 30, 2009). It all began with publisher Wiley asking Marie to post three or four cakes as a special promotion when the book first launched. But knowing Marie, I wasn't surprised when she agreed to be the chief administrator of the Heavenly Cake Bake Along, a group of bakers working their way through the entire book. When I first suggested to Marie that she do this, she modestly suggested that she was not the ideal person as she was more a bread baker than cake baker, but I heartily disagreed. I loved Marie's postings on her breadbasketcase.blogspot.com when she baked her way through The Bread Bible. I delighted in her clever, wry sense of humor, the way she felt about bread baking, the fantastically useful step-by-step pictures photographed by husband Jim, and an added benefit to not yet being a proficient cake baker was that it would be a great testimonial: If Marie could bake the cake, so could you! Within a short time of baking her way through RHC Marie could no longer say she was a novice cake baker. The texture and appearance of her cakes were excellent and her piping skills vastly increased. Marie didn't want to use her first copy of the book to bake from so she baked from the book's galleys which finally fell apart just before baking this last cake. For the grand finale, Zach's La Bomba, Woody arrived with Perrier-Joët champagne but, according to Marie, would not let it be opened until after she had glazed the cake. 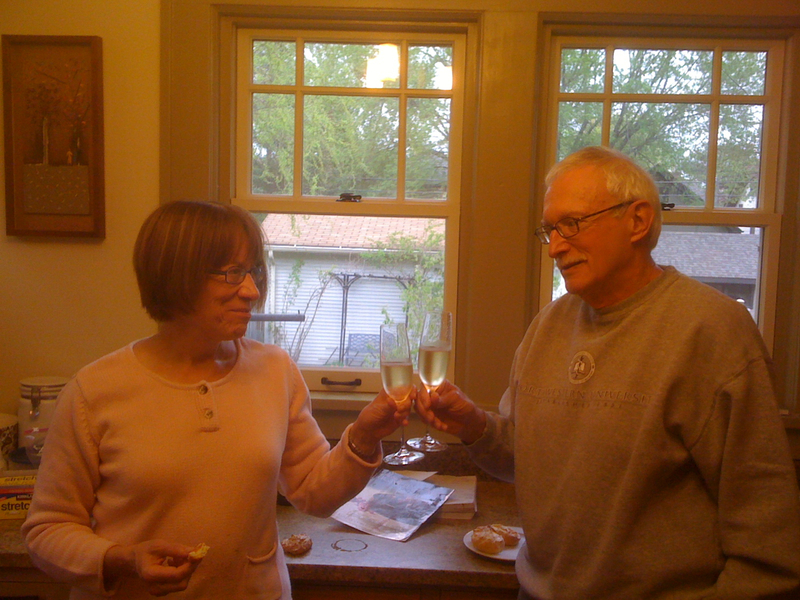 She suspected that he feared she would not accomplish it perfectly if she had started to celebrate with the champagne. But Woody just thought it would be bad luck. 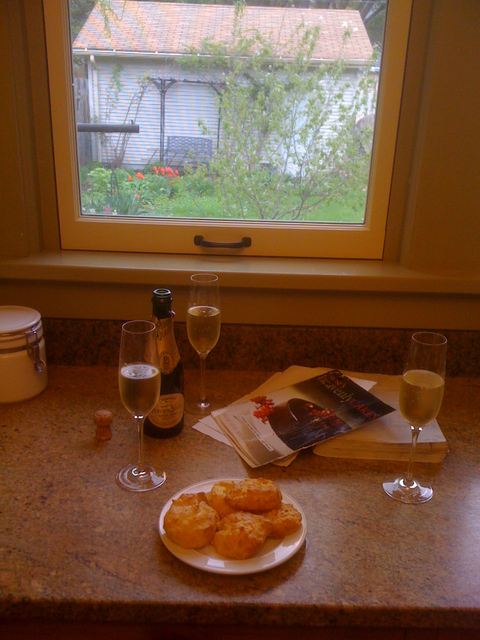 Marie made cheese gougères to accompany the champagne toast. She could have stopped right here, the partial glaze looked so artful! The Wolfs have become dear friends for life. 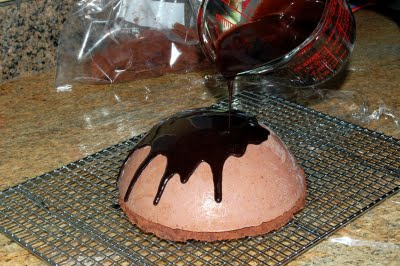 Note: Marie's blog, Heavenly Cake Bake Along, is on this blog, right at the top left side, under "Featured Fans."